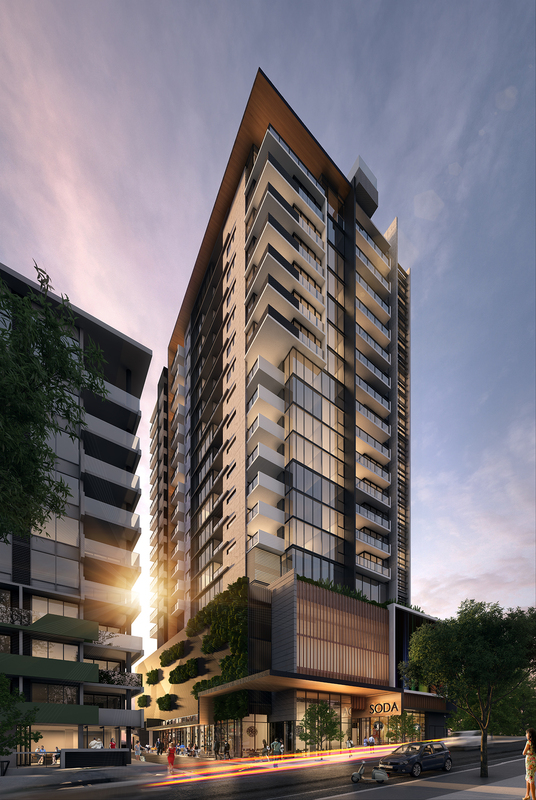 Rising 20 storeys high above South Brisbane, Soda is a new residential, retail project by GDL Group, the developers behind the sold out Fish Lane Apartments. Located on the corner of Cordelia and Soda Water Lane, or what is now Fish Lane, Architecture firm Ellivo have designed a striking new residential building. 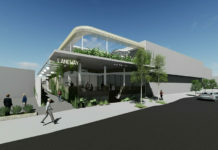 Soda’s seven ground floor retail tenancies combined with Fish Lane Apartment’s ground floor retail will help reinforce Fish Lane as Brisbane’s next new vibrant laneway and brings in a new generation in emporium boutiques, bars, and hole-in-the-wall cafes. The development comprises of 131 – 1, 2 and 3 bedroom apartments featuring Smeg stainless steel appliances, vinyl timber planking as standard, air-conditioning and ceiling fans to all bedrooms and living areas. A cantilevered rooftop pool will be located on the level 20 sky deck which also includes residents’ barbeque facilities and seating areas, while a gymnasium is also included on the lower levels of the building. CBRE Residential Projects Managing Director Paul Barratt said Soda represents a true New York style of apartment living for South Brisbane, with lofty open plan apartments, striking urban industrial colour palette, sweeping city views and smart residential rooftop amenity. The Soda sales display is open by appointment from the 18th of October and is located on site at 27 Cordelia Street, South Brisbane. The display features a vertical garden, interactive displays, model, built kitchen and floor plan gallery. Soda will launch to the public on the 23rd of November. When will the Soda block be completed, approx. ? Contact me if want more information. anyone know who did the renderings, quite nicely done. jus, the renders were done by Binyan. 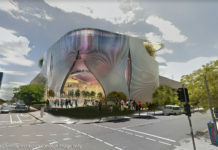 It (the development) looks very imprsive. Where can I find more details. I’ve seen inside the Apartment display. Very nice. Super modern.